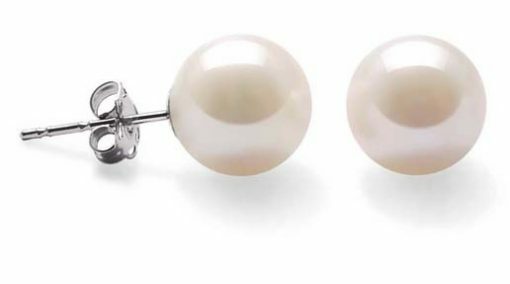 This pair of genuine pearl earrings is made of high AAA Gem quality completely round shaped pearls. 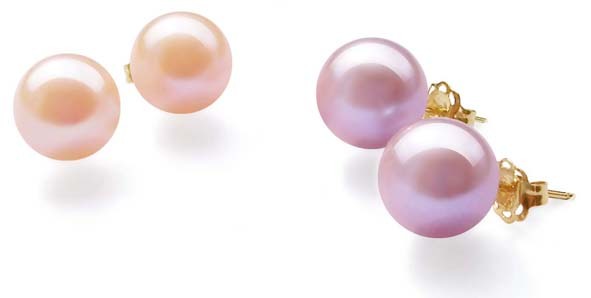 The pearls are very well matched with high luster, and with hardly any surface flaws. 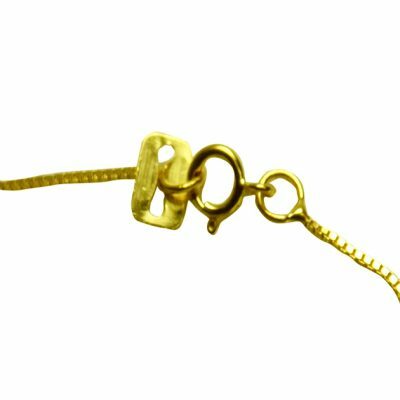 Set in 14k solid yellow gold for both posts and ear backs, this pair of earrings is good for the most sensitive skin and will be treasured forever as a fine piece of jewelry .. 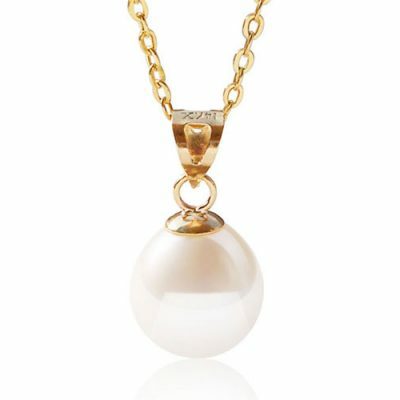 Match it with a 8-8.5mm round AAA pearl necklace (NLS10852b) to get a complete look. Best deal anywhere else you look! Even at Costco, they were selling it for well over $150. 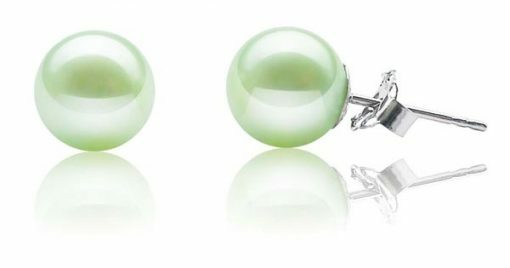 In addition, we have not only white, but also quite a few colored pearls are available for immediate delivery: white, pink, mauve, black and light green. 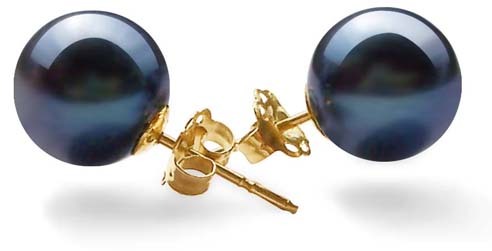 We also have other sized pearl earrings in 14k gold. 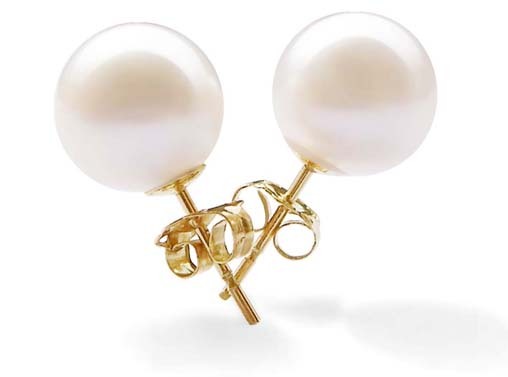 For 5.5-6mm Completely Round AAA Quality Pearl Studs Earrings 14KY Gold, it is only $37.47. For 6.5-7mm Completely Round AAA Quality Pearl Studs Earrings 14K Gold, it is only $29.99. 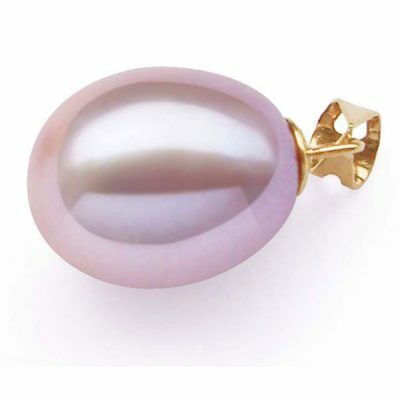 For 7-7.5mm AAA Completely Round Pearls 14k Gold, it is only $42.99. Shop early for the best choice!